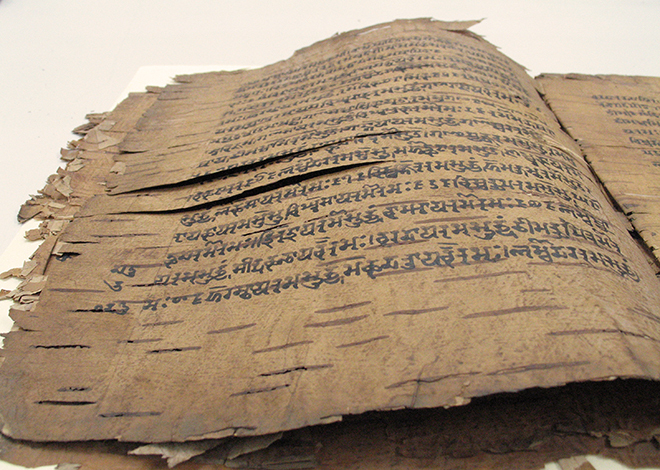 The Department of Conservation and Preservation is one of the oldest uninterrupted book and paper conservation departments in an academic library. Since its beginnings, the Department’s mission has included addressing both the preservation and conservation needs of its collections and in the active training of conservators. The department serves the conservation and preservation needs of the Sheridan Libraries and University Museums collections and provides intermediate and advanced training for conservators. It is divided into three functional units: Conservation Services, Preservation Services, and Heritage Science for Conservation (HSC). 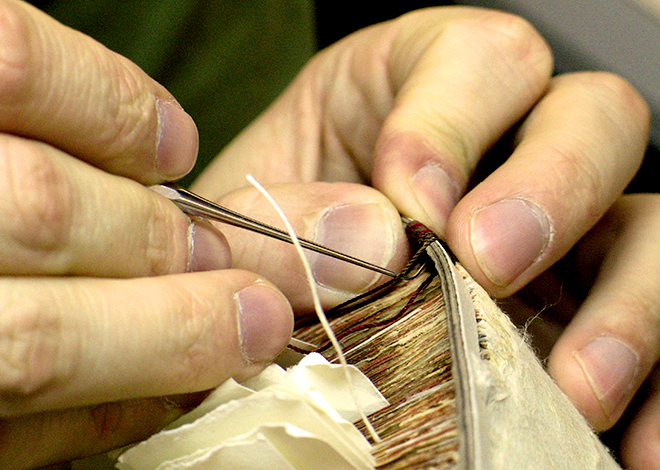 Conservation & Preservation has a long history of apprentice-style training for conservators and continues to provide book and paper conservation training opportunities, including intermediate and advanced workshops, consultancies, internships, and research fellowships. These opportunities have been made possible through generous grants from the Andrew W. Mellon Foundation, the National Endowment for the Humanities, the Kress Foundation, and private benefactors. The Conservation Lab is housed on C-level of the Brody Learning Commons. Conservation activities focus on the physical treatment of materials from the collection as well as exhibition preparation and installation. Conservators are fully supported by the latest equipment, reflecting both traditional and innovative technologies to assist them in their work. Treatment priorities are identified by curators in collaboration with conservators to ensure that fragile or unstable items are cared for and made accessible for use by researchers and in exhibitions. The Preservation Services unit is responsible for a variety of activities that ensure the collections remain in working condition to support the research needs of students and faculty. Activities focus on preventative measures such as the commercial binding of monographs and serials, environmental monitoring, education and awareness in the care and handling of collections, collection assessment, and disaster preparedness and management.